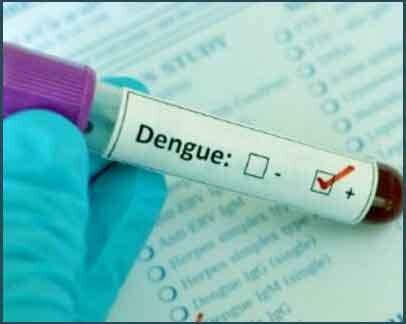 New Delhi: At least six dengue cases have been reported in Delhi this year, four of which were in March, even though the vector-borne disease is usually reported between July and November, according to a municipal report released recently. According to the report released Monday, a case each was reported in January and February and four in March this year. Cases of vector-borne diseases are usually reported between July and November, but the period may stretch to mid-December. While no fresh cases of malaria have been reported, three chikungunya cases have been recorded this year, two in February and one in March. The dengue victims last year included a minor boy. Three of the victims were identified by as Aman Tiwari (13), Sanskriti (21) and Gagan (23). Civic bodies had also recently organised a workshop on the prevention of vector-borne diseases. Mosquito-breeding has been reported from at least 1,676 households and 2,740 legal notices have been issued this year. Of the total number of dengue cases last year, as many as 141 were recorded in December, while 1,062 cases were reported in November and 1,114 in October, the report said. Of the total dengue cases last year, 374 were recorded in September, 58 in August, 19 in July, eight in June, 10 in May, two in April, one in March, three in February and six in January.